One of the places where the road meets the clouds and the fresh air is at its own home. And what's better than going through one of this locations when you are driving home after a long trip? NOTHING - because not that the road itself is so peaceful but it's completed just right by the entire landscape where the mountains keep in their hands this place called Transalpina. 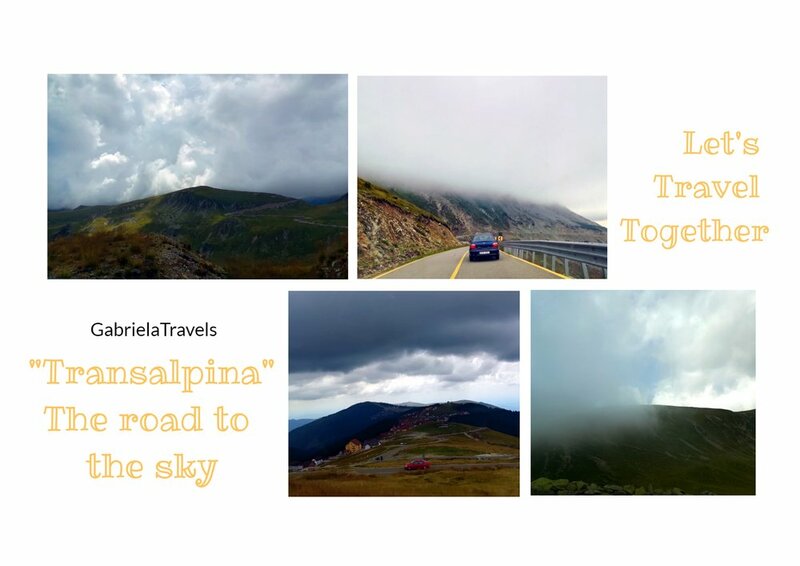 Transalpina is located nowhere else but in Romania and makes the connection between Munții Parâng (Parâng Mountains) and Carpații Meridionali (Southern Carpathians) with a beautiful drive on a 148km long road. Formerly called The Country Beyond The Mountains or the The King's Road, Transalpina crosses four counties (Alba, Sibiu, Valcea, Gorj) and it represents the highest road from Romania but not only, situated on a height of 2.145m. There is a section in Valcea county which covers 20km of Transalpina where the road earned the name of The ridge road because it represents the highest part of the road, being really close by Dengheru Peak (2.085m), Păpușa Peak (2.140m), Urdele (2.230m), Iezer (2.160m) and Muntinu (2.060m) - some really great touristic attractions. Even though the road that takes you between the mountains and the clouds is thousands of years old, it was firstly paved in 2008 when the people started visiting it more often and became frankly promoted by tourists that never stop returning and admiring the great landscapes that always leave you speechless. Many people when think about Romania they heard at least once about Transfăgărășan, but in reality, there are a few more than this one which takes your breath away even from the beginning. Just like Transalpina, Transrarau or the newest one, Transbucegi which I will write about very soon. Transalpina is less known because it was built by the Romanian Army on their way to Sarmisegetusa in 1930 and after the World War II it was abandoned becoming a very wild place. This is what made it become one of the greatest drives you can enjoy nowadays. The road is dedicated to those who truly love the mountains and the connection they can establish even just by taking a look through the window. At the moment, the road that takes you to the sky has the best condition between Novaci – Ranca which represents the most frequented area by the tourists, the rest being undergoing rehabilitation. But if you've still got time to follow this road you can consider to also check out one of the many touristic attractions that starts from this road. such as: Polovragi Cave, Polovragi Church, Cheile Oltetului (Oltet Gorges), Icoana Church etc. Because the chances of enjoying those landscapes to the fullest are really endless. Also between Novaci – Ranca, every year in September is held The National Speed Coast Championship, so if you are a fan you may consider to sign up. Transalpina is a national road known as DN67C but also a winter road which makes it become inaccessible in different moments of the year when the weather is not so friendly. Summer or winter, spring or autumn, visiting it only one time or 100 times, the landscapes are always unique with a visibility between 0-100% depending on how many clouds are embracing the road, but in the end..pure fantastic. You can also have one of those moments (as it happened to me), enjoying Transalpina when it's sunny outside but in just 5 minutes of continuous driving to get negative degrees of temperature while following the road through the clouds. But how grandiose it is, so many risks it has, so all the drivers are advised to drive only between 9 AM and 6 PM because due of the high altitude there can be formed really quick ice on the road, the fog to become too dense but also to assist to the fall of rocks.